These are the actual figures taken from the IQVia Total Patient Tracker Database, the most credited source of pharmaceutical prescribing information available in the United States. To see the breakdown of what drugs these children were prescribed click here. The psychiatric drugs prescribed to millions of children carry more than 286 drug regulatory agency warnings. Click image for the documented drug warnings, studies and FDA’s Medwatch reports. The American Psychiatric Association, the American Medical Association and the National Institute of Mental Health all admit that there are no medical tests to confirm mental disorders as “disease,” but do nothing to counter the false idea that these are biological/medical conditions when in fact, diagnosis is simply done by a checklist of behaviors. This is not to say that children cannot experience emotional or behavioral difficulties (scroll down to the page to see alternative non-drug solutions), but these diagnosis of mental disorder are not the same as diagnosis of verifiable diseases or medical conditions. There are no genetic tests, brain scans, X-Ray or any scientifically proven test to verify mental disorders as disease, requiring dangerous drugs to “treat” them. There are more than 286 international drug regulatory agency warnings on the psychiatric drugs being prescribed to millions of children. Click the image for more information. 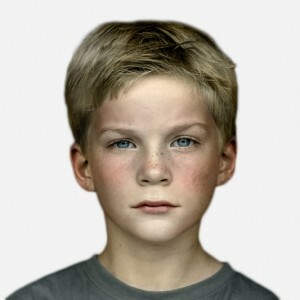 Parents are not given this information, but are simply told their child is mentally ill and more often than not, told to place their child on psychiatric drugs, including ADHD drugs which the U.S. Drug Enforcement Administration categorizes in the same class of highly addictive substances as cocaine, morphine and opium. They are not being provided with non-harmful, non-drug solutions for problems of attention, mood or behavior. Moreover, the drugs prescribed to “treat” these disorders carry more than 286 international drug regulatory agency warnings. The purpose of this page is to give parents facts about mental disorders, psychiatric drug risks, and non-harmful medical alternatives to psychiatric labels and drugs. 3) If the psychiatrist/doctor provides you with what they claim is evidence of a ‘mental disorder’ forward this claim to CCHR International here— and we will provide you with the evidence that whatever claim is being made, is false. This is not opinion. This is documented fact by international drug regulatory agencies. Parents are quite simply not given the documented facts about the psychiatric drugs prescribed for their children, yet it is their right to have full information about any drugs being prescribed their child. 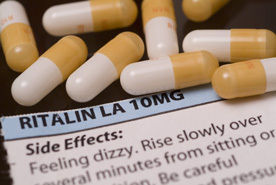 ADHD drugs, Antidepressants, Antipsychotics and Anti-Anxiety Drugs given to children, have been documented by hundreds of drug regulatory agencies to have severe and life-threatening side effects. 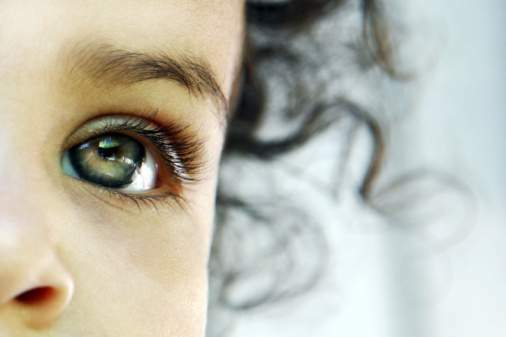 Children are commonly prescribed drugs such as Ritalin, Adderall, Concerta, Paxil, Prozac, Celexa, Zoloft, Luvox, Risperdal, Seroquel and parents are not given any warning on the known dangers of these drugs. 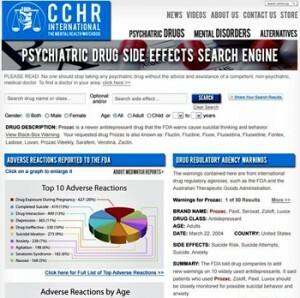 It is for this reason that CCHR created a simple, easy to understand search engine on psychiatric drugs which provides documented side effects, drug warnings, studies and adverse reaction reports filed with the FDA in a simplified format. Did you know—Federal Law Prohibits School Personnel from Requiring You to Drug Your Child? Most parents are unaware that schools cannot require a child to take a psychiatric drug as a condition of attending school. Any coercion or pressure put on the parent violates federal law. This law came about following CCHR’s documentation of numerous cases of parents being coerced/pressured or forced to give their children psychiatric drugs by school personnel, including parents charged with medical neglect for refusing to give their child a psychiatric drug. 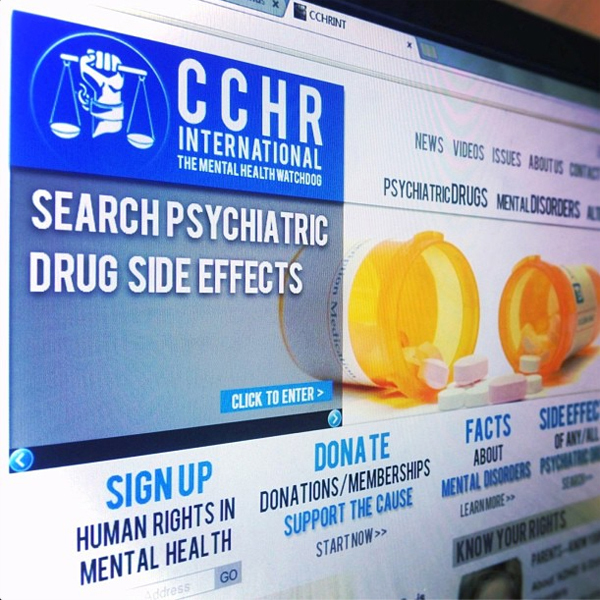 CCHR spearheaded a national campaign on this issue and by working directly with parents and the press, this issue was brought before state and federal legislators resulting in the Prohibition on Mandatory Medication Amendment which passed into federal law in 2004, prohibiting schools from requiring a child take a psychiatric drug as a requisite for attending school. If a teacher or other school employee has concerns about or objects to your child’s behavior or academic performance, they are prevented by this law from pressuring you to put your child on a prescription drug and they cannot stop your child from being in school if you refuse to drug him or her. Click here for the portion of the law that you can print out and use as needed. You can also use the below forms for parents and students of legal age to sign and present to preschools, elementary and secondary schools and colleges. They are an advance directive against having mental health screening conducted on students that could lead to them being referred for psychiatric drug treatment. Parent’s Exemption Form Prior to Mental Health and Psychological Screening or Counseling. Student Exemption Form Prior to Mental Health and Psychological Screening or Counseling.